RainTree, medium to large deciduous tree with long flat pods. Highly scented flowers, short lived dropping in November and occasionally again in February. 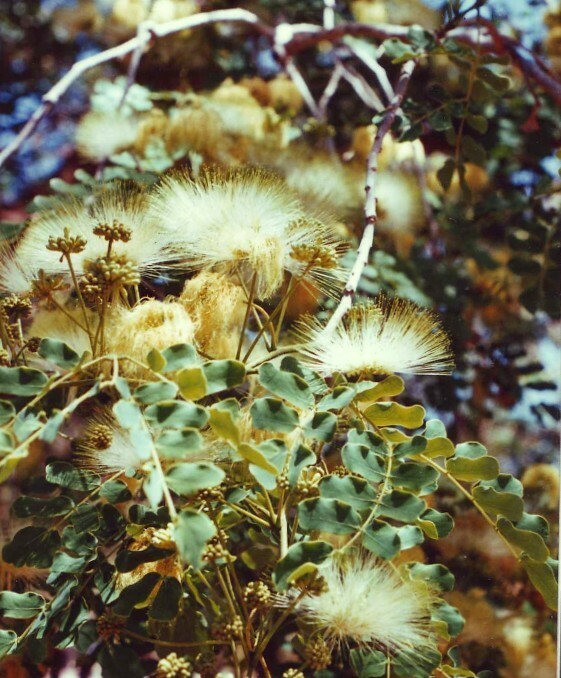 This entry was posted in Albizia and tagged Albizia lebbeck. Bookmark the permalink.